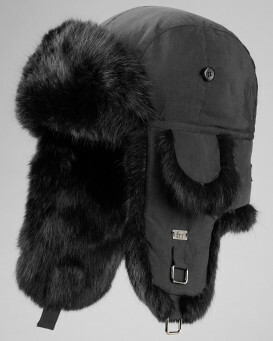 Take flight this winter, in one of our FRR™ Aviator hats or Mad Bomber® hats. 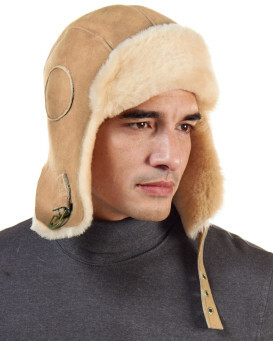 Wearing one of these adjustable-back, dome-style top hats will have you feeling like you've traveled back in time to the era of bomber pilots flying overhead in an open cockpit. 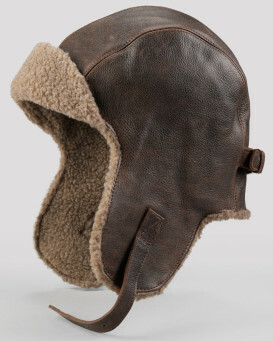 With extra-long fur-lined ear flaps and a substantial fur covered front brim, a pilot wouldn't be caught in aviation without one. 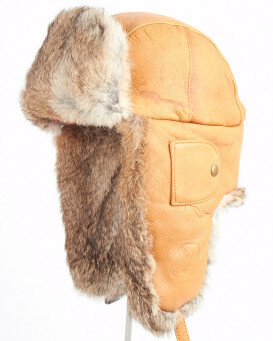 Available in a wide range of styles and fabrics, our selection includes leather, waxed cotton, water repellent Taslon, suede, and canvas exteriors, complimented by wool, Shearling Sheepskin, or Genuine Rabbit Fur with a quilt lined interior. 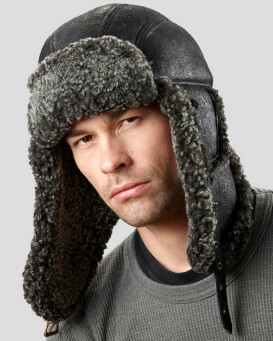 The ear flaps are the perfect length to protect your ears from the cold, and can be fastened below the chin for extra coverage. 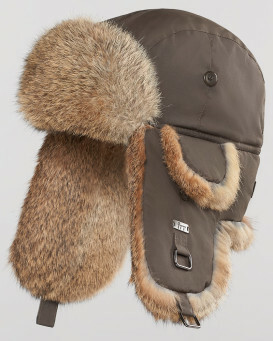 Today, these hats are more commonly worn on the slopes or out for a nice winter walk--the Aviator/Bomber hats are just as sensible as they are stylish. 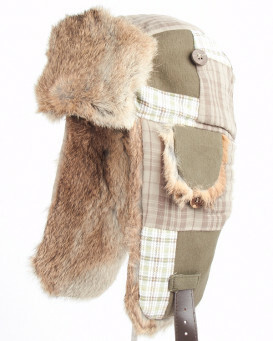 Explore our selection and spot the perfect hat for your next adventure. 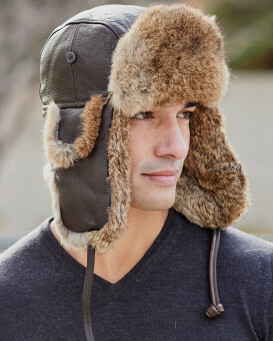 Travel back to a different time and place courtesy of one of our Mad Bomber® hats or FRR™ Aviator hats, both spinoffs from those worn by bomber pilots and aviators in the era of open cockpits. 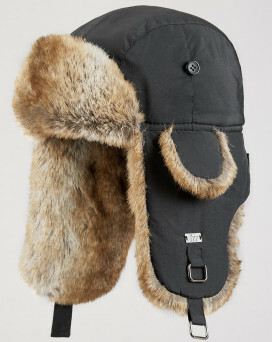 Featuring a fastback dome-style top, extra-long fur-lined ear flaps and a generous, fur-lined front brim, these little beauties alert the world to the fact that you're a guy as keen to be warm as to be cool. 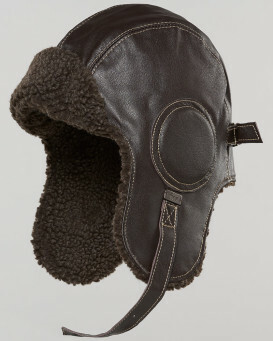 They are available in a wide range of styles and fabrics, including leather, waxed cotton, suede, wool, canvas and genuine rabbit fur with Taslon. 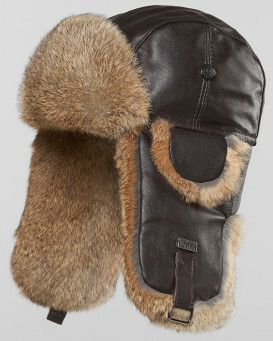 Also known as flying hats, these unique headpieces have made the successful transition from bomber pilot to snowboarder. 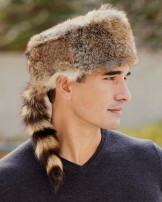 Score yourself one and become part of their evolving story. 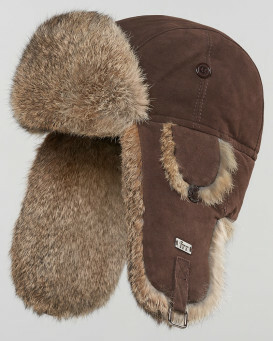 Buy Mad Bomber® hats and FRR™ Aviator hats at great prices! 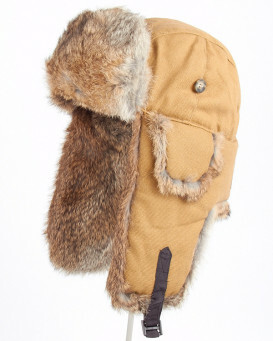 All made with real fur or real sheepskin. 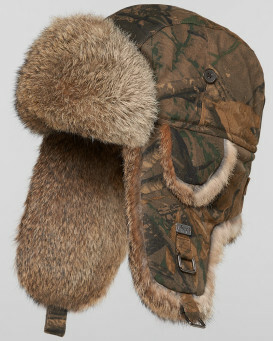 These fur lined ear flap trapper hats are this winter's hottest style. 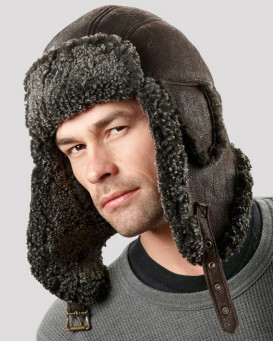 Don't get caught in the cold without one this winter! 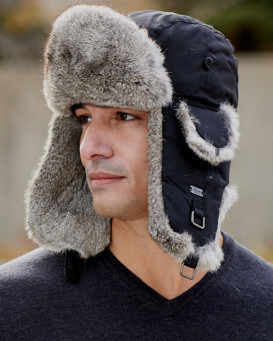 Worn by both men and women, from the rugged outdoors man to the trendy snow boarder or for simply trying to keep your ears frostbite-free. 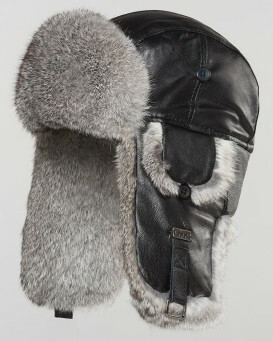 Nothing beats an Aviator Hat or Mad Bomber® hat for style and functionality. 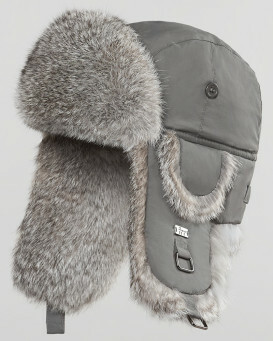 Fur Hat World is proud to offer the Mad Bomber® brand this season. 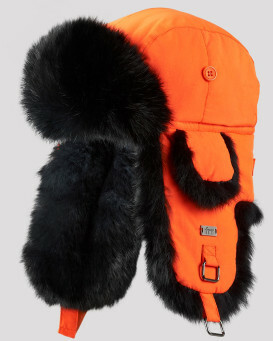 "The very sight of this hat angers people", John Candy memorably announced of his Mad Bomber® hat in Uncle Buck. 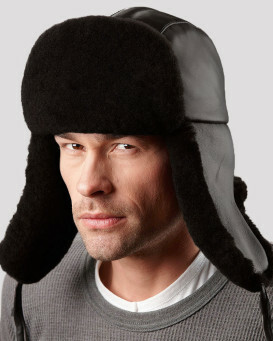 Stir your own passionate reactions with one of these iconic head toppers that pledge to make you look cool - while keeping your uppermost extremity toasty warm. 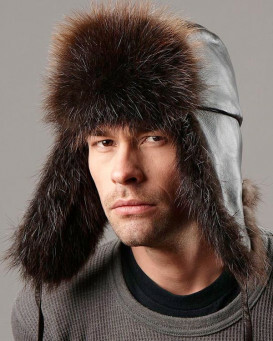 Among the many distinctive features of these unique hats are their rabbit fur-lined ear flaps that hang down to protect your ears. 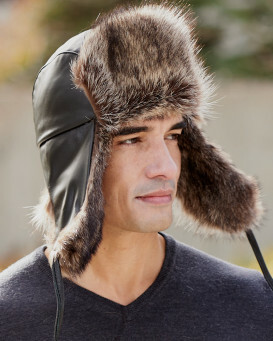 A snap that fastens under the chin offers relief if temperatures rise, making the Mad Bomber® hat as sensible as it is stylish. 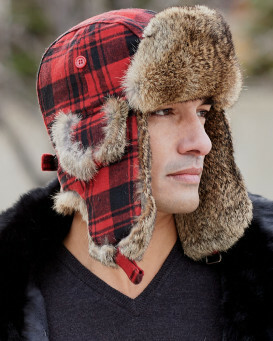 The hat is available in a range of funky colors, plaids and fabrics, and its interior is fully lined with a soft, quilted fabric for even more insulation and comfort. 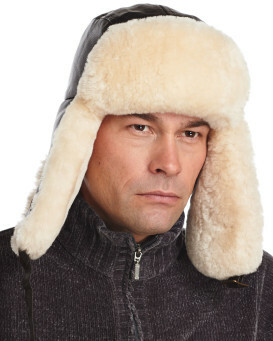 "SUPURBE HAT (B-52 Bomber).This hat is awsome,it arived on a 20 degree day so that was the first test,kept my head warm,NOT HOT,this hat breaths perfectly,you don't want your head to be sweating out in the cold.2nd test was the storm we just had with temps -4 degrees with windchill under 25 below and frost bite warnings.The hat past that test with flying colors,again kept my head warm not hot, pulled the flaps down under my chin,and ears, kept my face perfectly warm. 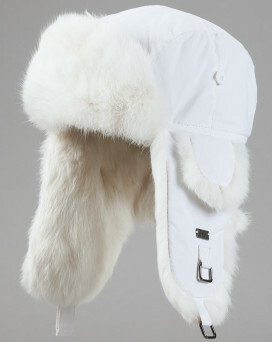 The hat keeps a very consistent temp on your head,(at least 20 degrees and under)this hat is perfect for those temps.The hat is well built,the shipping was fast,the size fit by size chart,and i'm super happy with the B-52.Would recommend to every body that's a polar bear(or Yeti) like me!! 5 STARS BABY!!!!!!!!!!!!!!!!!!!!!!!!!!!!!!!!!!!!!!!!!" 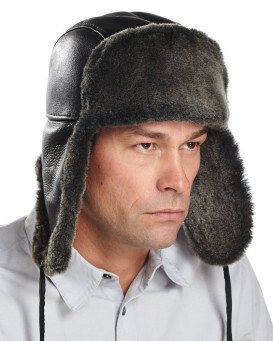 Based on 3459 customer reviews.